The annual report from Publishers Weekly (PW) that details service providers in India and the depth of solutions they offer in the global publishing market is now available. We are proud to take part in this special report that also captures a short list of accomplishments that Cenveo has experienced over the past year. At Cenveo Publisher Services, onshore and hybrid solutions have long been an option available from our portfolio of services. 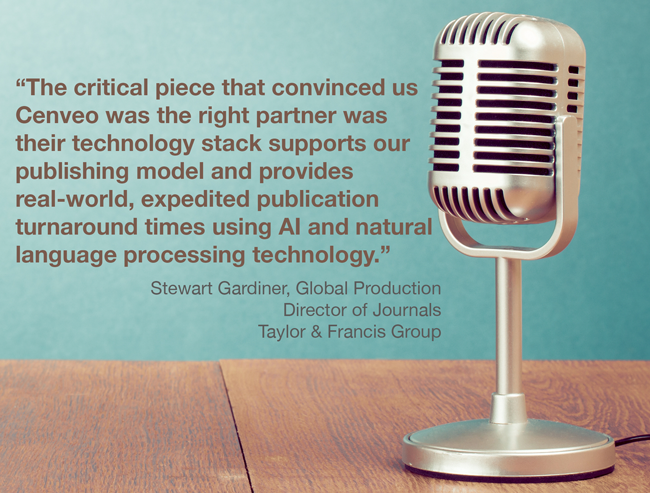 Whether it's full-service production management or peer review management services, we work with publishers to implement a workflow that best fits their content and their budget---offshore, onshore, hybrid. Tell us a little bit about the types of publishing services you require.